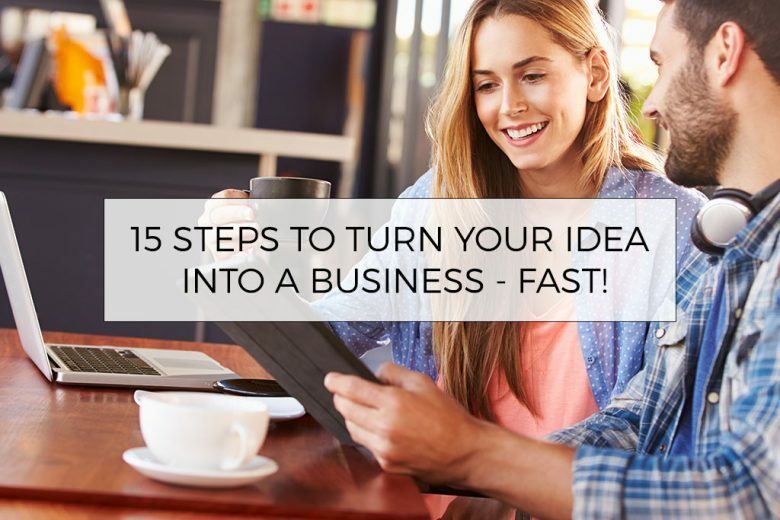 15 steps to turn your idea into a business – fast! Have you resolved to finally turn your brilliant idea into a business this year? To help you get started, read 15 steps you need to take. 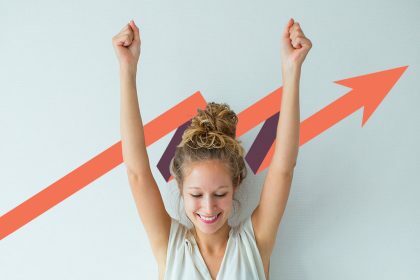 Are you one of those people who spend a considerable amount of time thinking about starting up your own business but somehow never managed to do it? Or perhaps as a New Year resolution, you’ve decided to leave your crappy job and follow your passion once and for all? Whatever your motivation, unless you take steps to turn that idea or dream into a business, that’s what it will remain – a dream. Melissa Talago, founder and chief fire starter at Campfire Communications has set up several businesses and knows how overwhelming it can be taking the leap into entrepreneurship. Now she’s sharing the 15 key steps you need to take to turn your idea into a business with us. 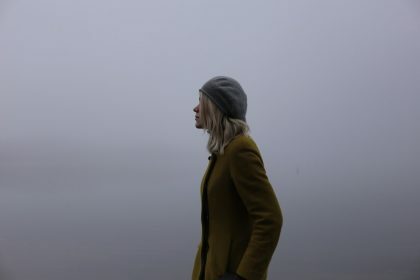 There are plenty of reasons why some people fail to start a successful business. Some dive straight in and then find they’ve wasted money on the wrong things. Others take a long time reading up and assessing and debating and perfecting and ultimately, never starting. If you don’t have an idea, start by listing what you enjoy doing and what you’re good at. Is there an overlap? What problem do you see that you could solve? If you do have an idea, answer this question: what problem will you be solving? Know that and you have the makings of a business. Knowing what problem you will solve is only half of the equation. Now you need to figure out who you are solving that problem for. 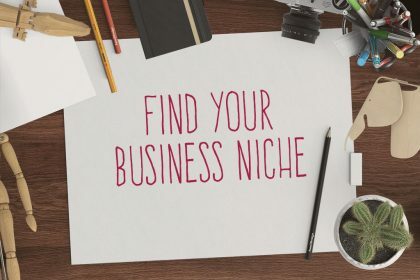 The more niche and specific you can be in creating a picture of your ideal customer, the better. Before you invest any money in a business, you should know whether there is a market for it. So do some research. This doesn’t have to be difficult. Create a survey and share it on social media. Look at competitors. Ask online. Hold a mini focus group. Tweak your offering based on what you find. Now you have to add meat to this business idea. What products or services will you actually sell? Are they physical or digital or service-based? 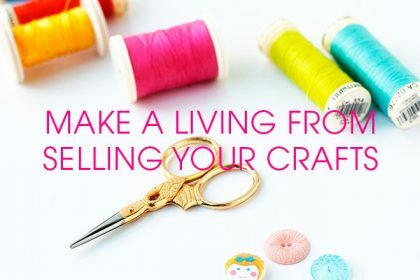 Are you making them or getting them made? What will you charge for them and how will you package them? Where will you sell them? This is where you roll your sleeves up and knuckle down to make this idea a reality. Many people dive straight in here. It’s important to do all the work in the previous steps first so that your name accurately reflects your business. Is it already taken? You can’t use someone else’s name. And is the domain name available? Once you’ve settled on a name and know that the domain is free, you need to buy it before someone else does! Once you have your name sorted, you can get a logo created. You can do this yourself if you’re on a budget using tools like Picmonkey or you can pay someone to do it for you. It’s also worth thinking about the rest of your branding, colour schemes and fonts. Plot out what you want your website to say and what pages it needs to have. Remember that your web copy should show what problem you are solving for your ideal customer. It should also reflect the tone of voice and feel you want your business to have. 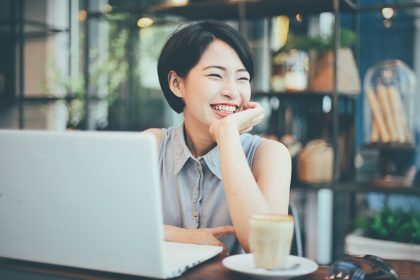 You can use free stock images or buy stock images. But it’s best to get bespoke photos taken for your website. If you are a coach or service-based business, having pictures of you is important. If you sell a physical product, you’ll need a picture to show people what they’re buying. Social media is a really cost effective method of spreading the word about your business. Your target market will dictate which platform to use, but Facebook is a good starting point. You can have this set up and operational while your website is being built so that you can start talking to your ideal customers. It is really easy to make your own website these days thanks to drag and drop template sites like Squarespace or Weebly. Or you can pay someone to create a website for you. Just be sure that you can take over the running of it because you will absolutely need to change it as your business evolves. It’s important to start capturing people’s email addresses from day 1 so that you can communicate with them. Use a tool like Mailchimp to do this and have an enticing freebie on your website to encourage sign up. Networking is a good way to spread the word in the early days so having business cards is essential. These and any other printed items you need can be made at this point. Don’t make them too early as things may well change as the idea evolves. You will need to register with HMRC, buy business insurance and set up a business bank account. These are dull but very necessary bits. You are ready to roll. Think about doing some PR to announce your business or a webinar to build up a following. Start spreading the word and plot out your marketing activity. You can tweak and refine as you go. For now, just get started. Don’t wait for perfect. Campfire Communications has a new package called Ignite that turns your idea into a business in just 30 days. Find out more here. If I can start an e-commerce business anyone can!